A circular fisheye lens excels at making arcs out of lines. This primary subjects in this composition are a pleated shade and window trim. Only the center-most line remains straight. 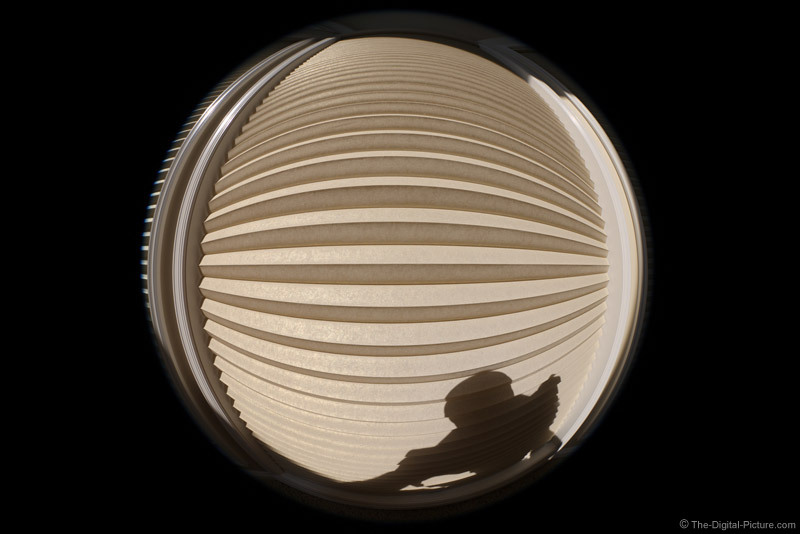 When shooting a full circular fisheye, your shadow is going to be in the frame of the light is behind you. Sometimes embracing your shadow works best.